The Omen Extreme-5 Electric Bass Guitar from Schecter Guitar Research is an updated take on the Omen line. 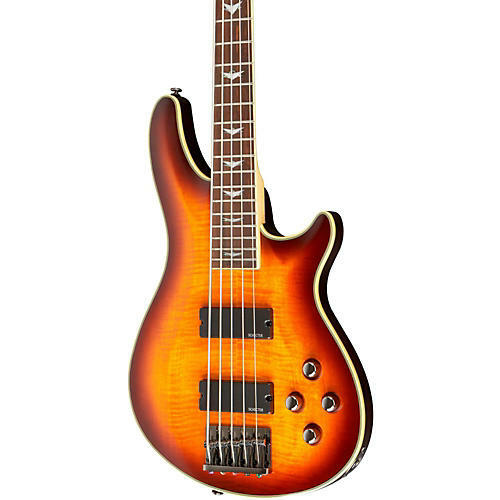 This 5-string bass has jaw-dropping looks with its mahogany and flame maple body. Active 2-band EQ, Diamond pickups, and premium hardware make it a performer. Through and through, the Omen Extreme-5 Bass delivers the sound and features that serious bassists demand.